Global Environmental Products is a well-regarded producer of specialized street cleaning equipment. 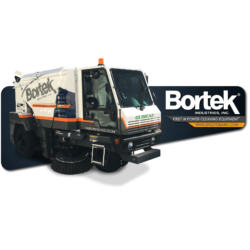 They are headquartered in San Bernardino, CA and make all of their street sweepers in the USA – so you can count on their sweepers meeting and exceeding high American standards. 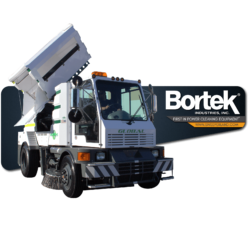 The street sweepers produced by Global are intelligently designed for ease-of-use and high efficiency. 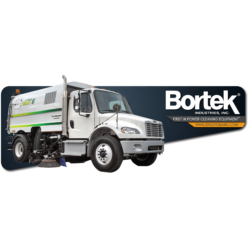 Not only will many of these sweepers bring savings with impressive fuel efficiency, but they’re great for low maintenance costs as well, thanks to their built-to-last designs and parts. Those low maintenance costs aren’t just from durable parts! 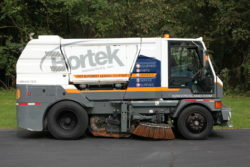 Global designs their sweepers to be easily accessible for maintenance and repair. Pumps, filters, and hydraulic hoses are easy to get to, making repairs and tune-ups a breeze. That means you can get back on the road quickly and avoid trouble in the first place thanks to the ease of regular maintenance. Everyone’s needs are a little different. 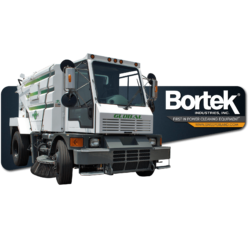 That’s why Global’s street sweepers offer lots of customization options. Get what you need, skip what you don’t. The Global M3/MX3 is considered one of the toughest street sweepers in the industry. Purpose-build design with safety and low operating costs headlining this machines main features. 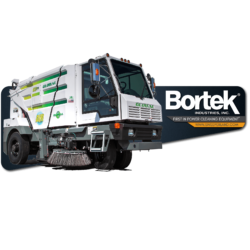 Throw the worst of cleaning conditions at this street sweeper, and it will get the job done. The M4 can sweep up to 14 mph and travel at speeds of up to 65 mph. 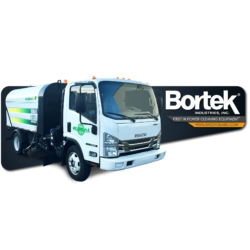 Designed for heavy duty sweeping such as construction clean, state highway sweeping, and road resurfacing. Not impressed? The M4HSD can sweep up to 3 tons of sand and gravel per minute. Driver visibility stands out with the R3Air. A center mounted cab/forward layout compliments the operators visibility and in turn improves cleaning accuracy. Dust emission is the focus of this street sweeper. The heavy duty vacuum sweeper showcases 50% less dust emission than purely suction designed sweepers. The fine dust emission from a V6 sweeper is 50% less than that of purely suction concepts. No dirty air is expelled into the working area at the rear and around the sweeping machine.